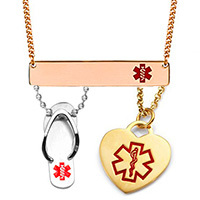 Shop our extensive selection of medical ID necklaces for men, women, and children that are comfortable and stylish, but more importantly, in an emergency situation, they can provide the quick assistance you need to potentially save your life. 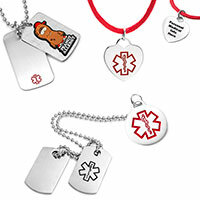 Choose from our quality selections of medical dog tags, engravable bar necklaces, pendant necklaces for him and her, plus cute kids ID necklaces that come in a variety of fun shapes like robots and princesses! 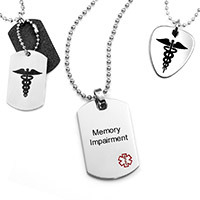 Medical alert necklaces are reliable, fashionable choices in medical jewelry that will keep you safe, because they can speak on your behalf to first responders or other medical personnel should an emergency situation arise. 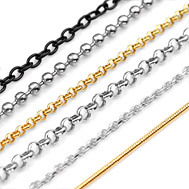 If eligible, be sure to include your free online personal health records system, by selecting the option for Backpack Health.